How do we lead our churches in light of the world to come? This issue of Primer takes a look at eschatology – the end times – and helps us to consider how we live our lives as Christians looking forward to the day of the Lord. The future plays a vital role in the New Testament. So much of our worship, joy, obedience, patience, and faithfulness in the present is motivated by the future set before us. 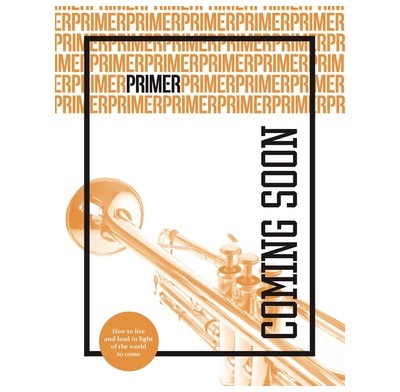 And so our great prayer is that this issue of Primer will help you see the difference the future makes. To that end, we begin with an article helping us to understand life between the first and second comings of Jesus by Stephen Witmer. Next, we have John Stevens outlining the various evangelical views of the future and the difference they make now. The next two articles consider the eternal futures of humanity. Brad Green annotates a passage from Augustine’s City of God, a remarkable passage penned over 1,500 years ago which joyfully ponders the new creation and addresses some perennial questions. Next Adrian Reynolds has read and reflected on several recent books on hell, helping us to navigate the debate and engage with it sensitively. Two final articles are designed to help the future to shape the present life of the church. Brad Bitner tackles the significant question of continuity between this world and the world to come, and then finally Graham Beynon orientates us to the book of Revelation. It can be an intimidating book but Graham shows us how its vision of the present and the future can shape the imagination of the church and to stir her worship. Which pastor doesn't want to be up to speed on the theological challenges and debates of our day? But the pressures of ministry mean there's often a gap between that aspiration and reality. Primer bridges that gap. It distils rigorous, biblical theological reflection into an attractive magazine format that always has an eye to the day-to-day realities of church life. Pastor of Grace Church, Boroughbridge, and faculty member of Crosslands Training. Absolutely love everything Primer produce. My church buys these for our Discuss Theology group and we thoroughly enjoy digging into them. Lots of different styles of writing to suit everyone and different views are represented throughout so there’s always fuel for discussion. Don’t know about this one but recent copies also have questions for discussion at the end of each article which are helpful for getting conversation going or for personal reflection. Would recommend to anyone but especially new Christians or those who don’t feel they know the doctrines of christianity as well as they should. An excellent resource for churches and individuals. Could not love Primer more for how they serve the church.